The day was an eventful one. 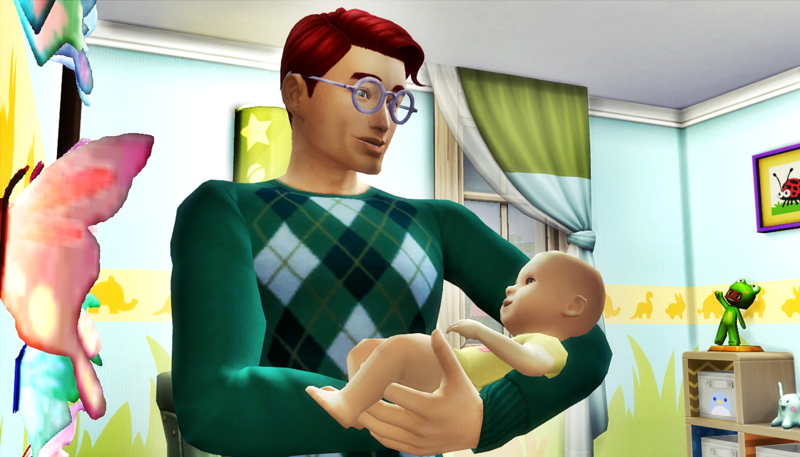 While Laurel was convincing Luca not to leave the Counsel Council, and Robyn was having her heart shattered by Baby, Quincy received news that the home Laurel built for him and Daniella was finally ready. 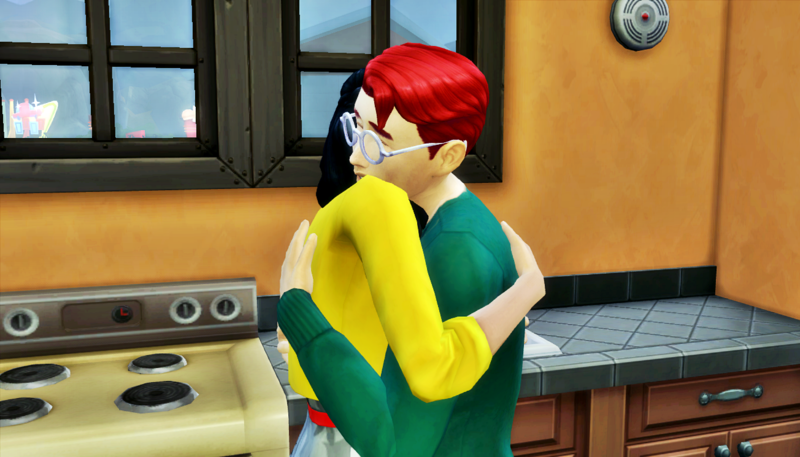 “Ah, you’re the best babe,” said Quincy, pulling her into a hug. He pulled out his phone and messaged their contractor. They agreed to meet at the new house so Quincy and Daniella could get the keys to their forever home. On the way to the new house, they rode around the back side before pulling up the front. Neither Daniella or Quincy had ridden past the house. They wanted to keep it a surprise for a big reveal at the end. And even though it was dark out, they were not disappointed with what they saw. When the finally got to the front door of their home, the very first thing they did was hang the garlic wreath. The second thing they did was flirt with each other. 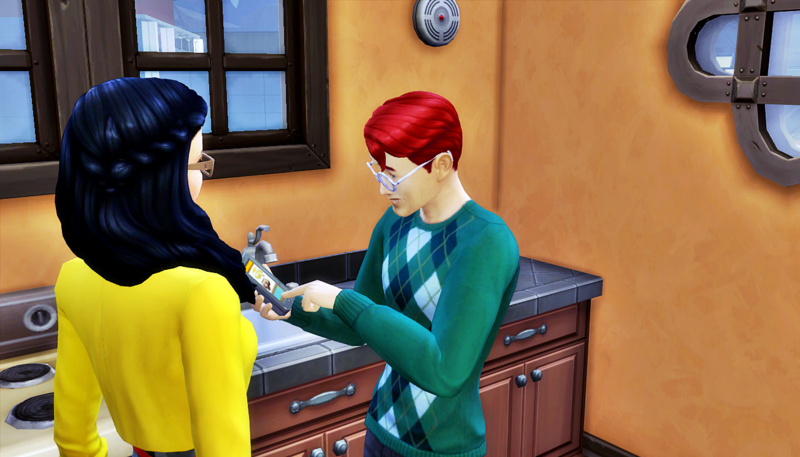 “Ha, yeah maybe don’t say that to her though,” said Quincy, “but you’re right, she designed a beautiful home for us. 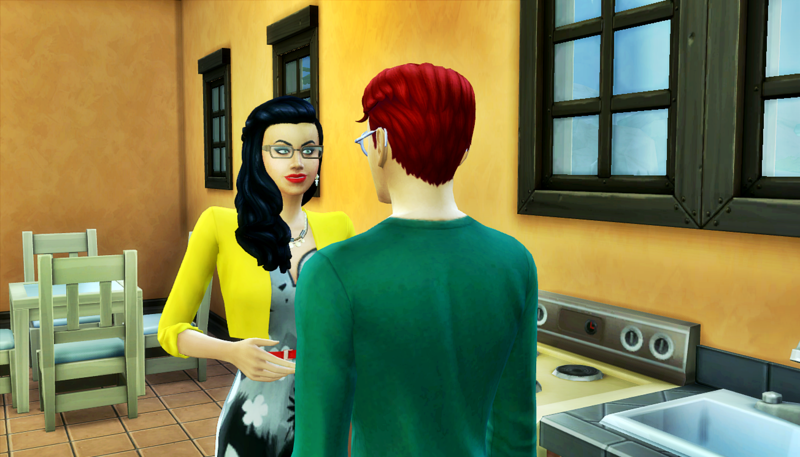 For a split second, Daniella hoped he was going to propose. Daniella: Is it finally happening? Oh, why do I keep getting my hopes up about this? His mother built us an entire house to live our lives in together. It’s not like I have reason to doubt we’ll be together forever. I just wish he’d make it official is all. The moment passed and Quincy didn’t propose. He grabbed both of her hands. Quincy raised her hands and kissed them. Daniella held her breath waiting for what would come next. Daniella tried not to let her disappointment show. She was pretty sure she failed. Daniella: What the hell? How many times is he going to sound like he’s proposing but not actually propose? At this point, it feels like he’s purposely messing with me. I could pick a fight about it, or I could go tour my new house before the triplets demand our attention again. The two of them walked into the house and checked out all of the rooms on the main floor and the storage room in the basement. The backyard was quite impressive as well. 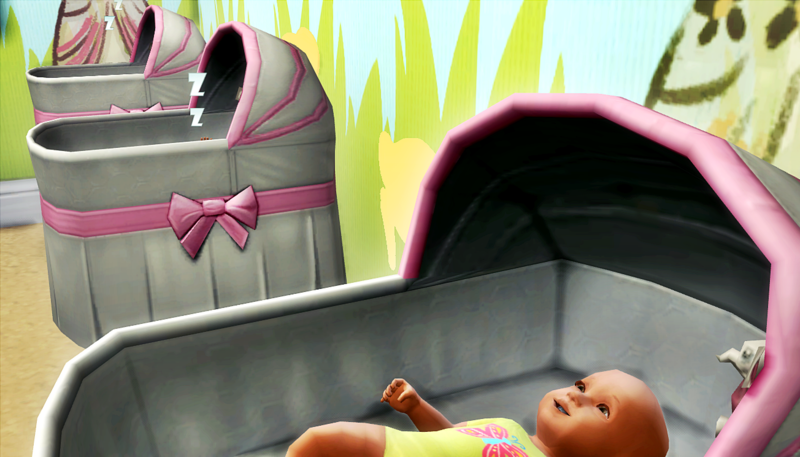 Just as they were finishing their tour of the home, the babies started crying. “Right on cue,” said Daniella. And soon all three babies were happy. Quincy wasn’t about to say no to home-christening woohoo, but he still had an odd feeling. He decided to let it go for now and followed Daniella to the bedroom. 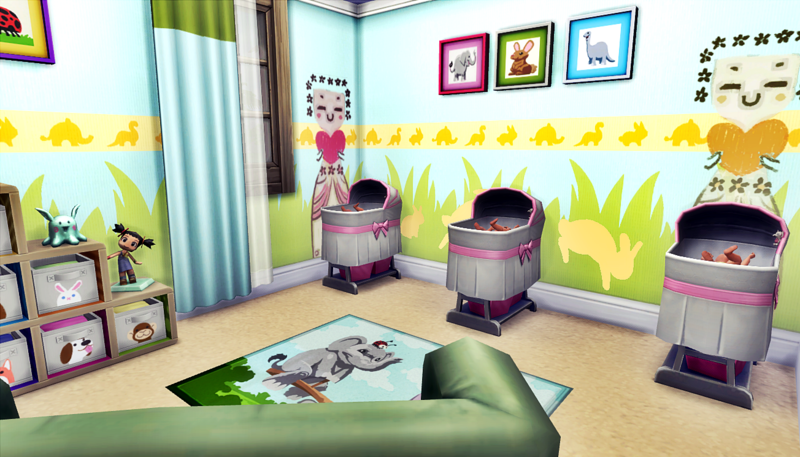 The next morning, they took care of the triplets before Daniella headed off to work. Quincy was off that day, so he sat and enjoyed a quiet breakfast alone. Quincy: Look at those three high chairs. These quiet mornings are about to disappear forever. I’m enjoying this time, but I didn’t grow up in a quiet family, so I’m looking forward to the chaos. Bring it on! 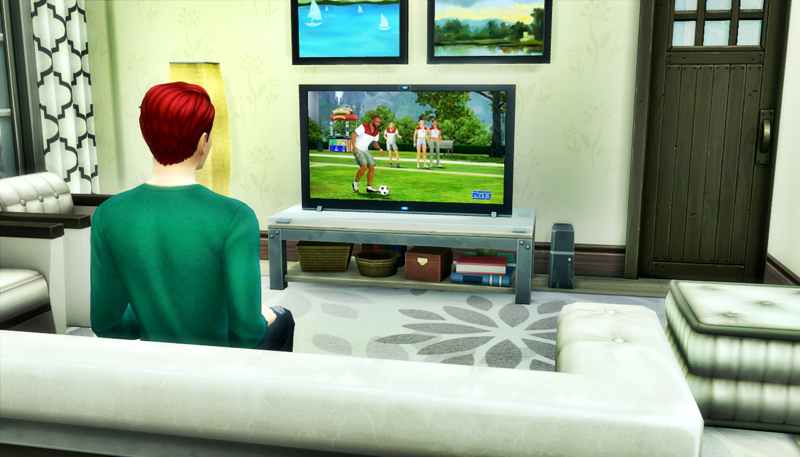 After breakfast, he watched a bit of soccer on his new big TV until the triplets cried for his attention. He looked at the door in the corner that led to the playroom, which was already setup for three toddlers. He could already imagine himself out there with them, and he wondered what they would name the family in the dollhouse. 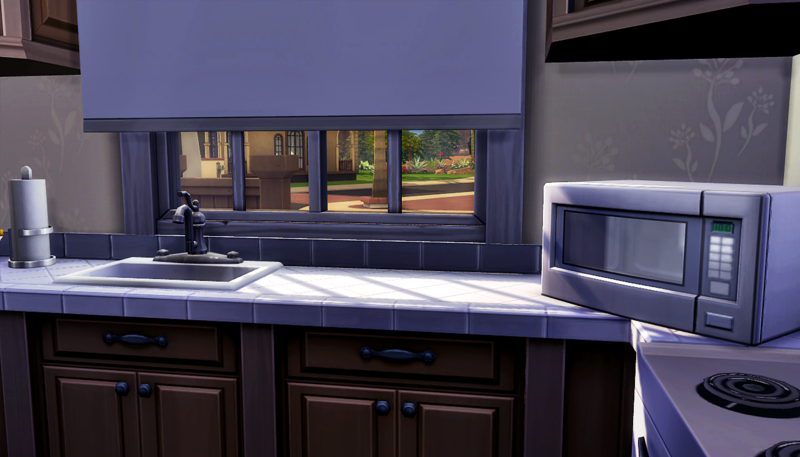 The afternoon sunlight streaming through the kitchen window was serene and idyllic. This was probably the last time it would be this clean or quiet for a long time. 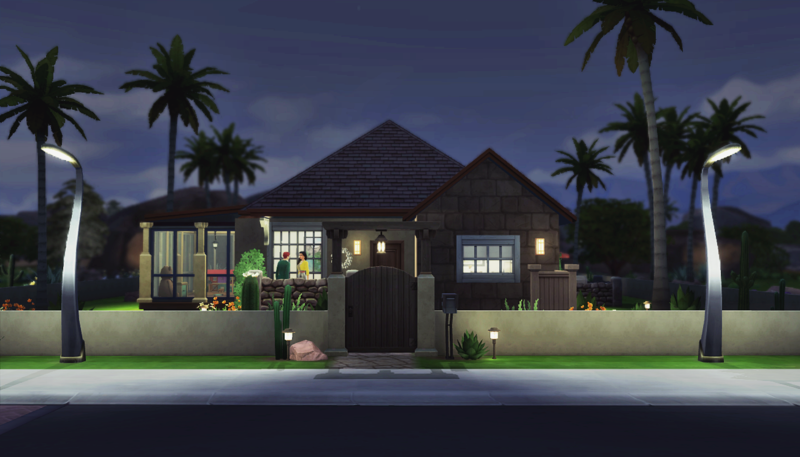 Author’s Note: This beautiful home was built by illusie, and she did an amazing job! You can download the home here. I requested this to be made specifically by her through the DNA Request Team. Yes, they live in the house she wants them to live in. 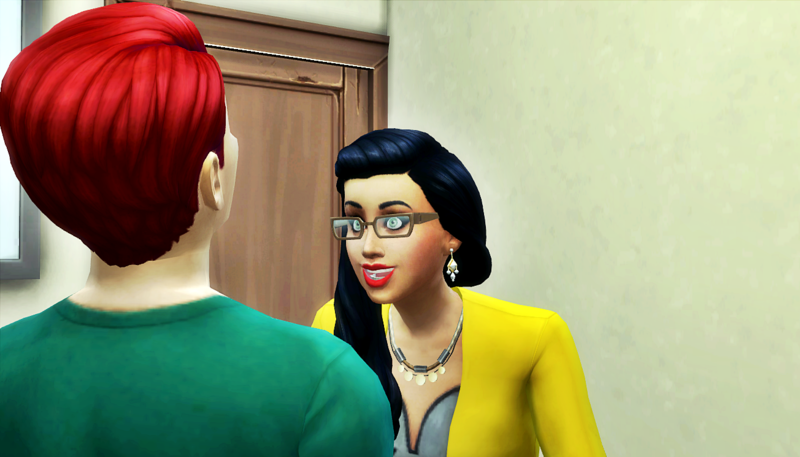 Quincy has grand plans for spending his life with Daniella. He lives the romance of proposing and weddings, but they’re really just formalities to him. Like a really fancy date, haha. I’ll say this. If Daniella had told him how important it was to her to get engaged quickly, he would’ve done it ages ago! That house is adorable! Illusie/Laurel did a really great job! I am so mad at freaking Quincy though. You have babies and a house. WHAT ARE YOU WAITING FOR!?!?! LMAO!! He’s making everyone wait and it’s killing us all. But I swear we have a plan. And as long as no one does it autonomously before then, the plan will be perfect! I wonder why she didn’t make the house bigger. It’s cute though, but they’re gonna run out of room fast! I didn’t​realize how much he looks like Laurel until now. 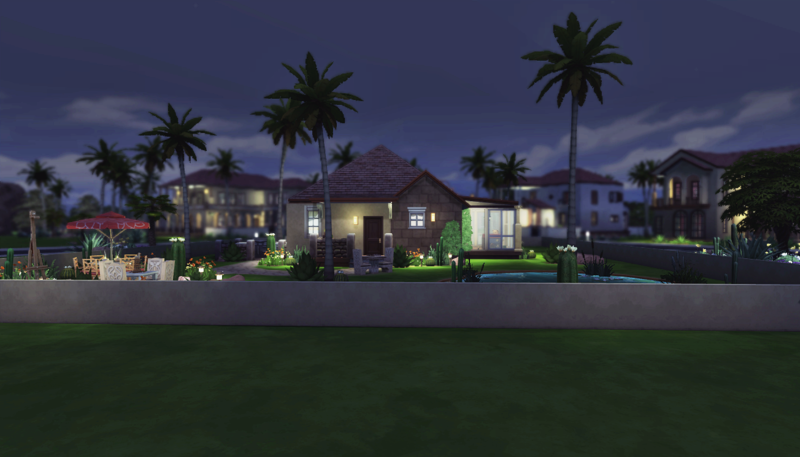 I requested from illusie that the house be on the smaller side in spite of the large lot. 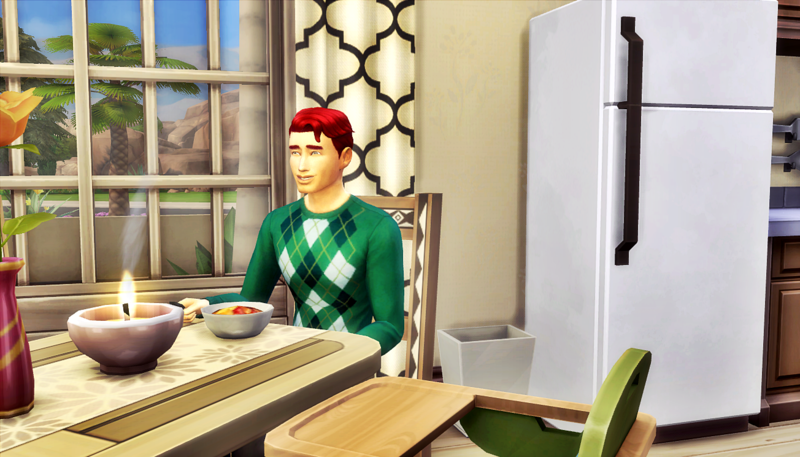 Laurel had her builder setup the house that way so her son’s little family feels cramped… And maybe decide they’d rather just move back into the big house with her! Hey, if it works, then it was a great idea, right? Lovely home! Daniella is really expecting this proposal. At this rate, I’m expecting her to get down on one knee! Lol, I know it’s coming though. 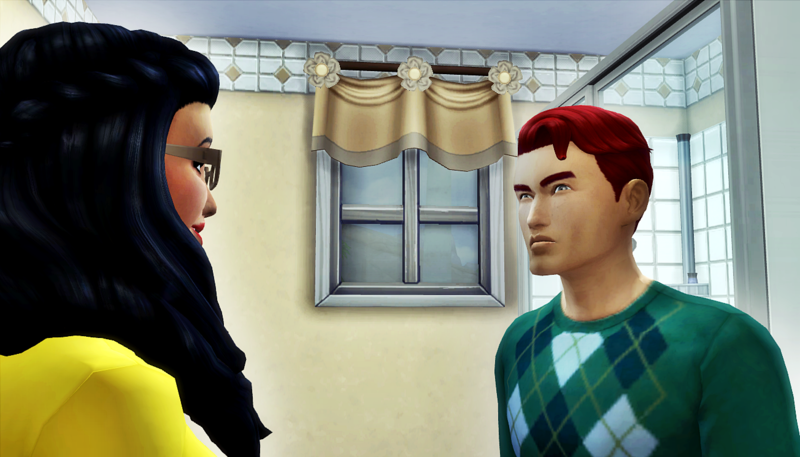 Lol, I half expect her to autonomously propose, but it’s coming, I swear! 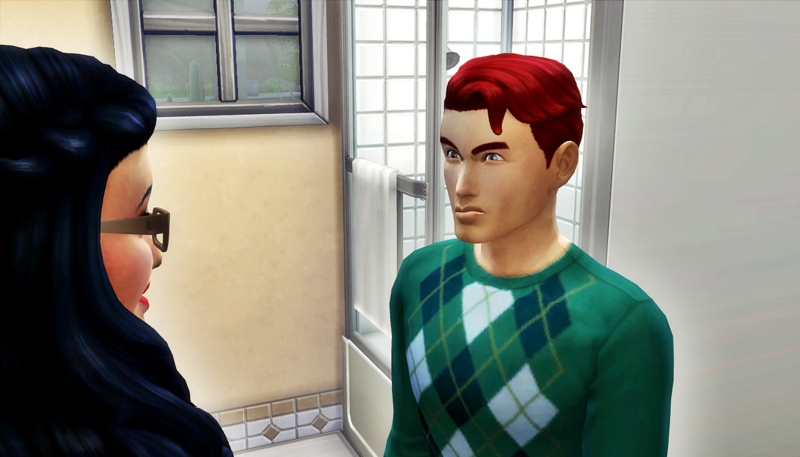 It is a gorgeous house and I’m looking forward to discovering what about it gives Quincy the creeps! She did an awesome job on the house! But I want to take Quincy and slap him upside the head! What’s up with him? Propose already doofus. And he thinks something’s wrong with the house. Uh oh. Weird lot trait???? Lol, I promise he will propose. I have autonomous proposals on, but hopefully he waits until the big thing we’ve got planned! Ohhh – the big thing you have planned! Now I’m curious! 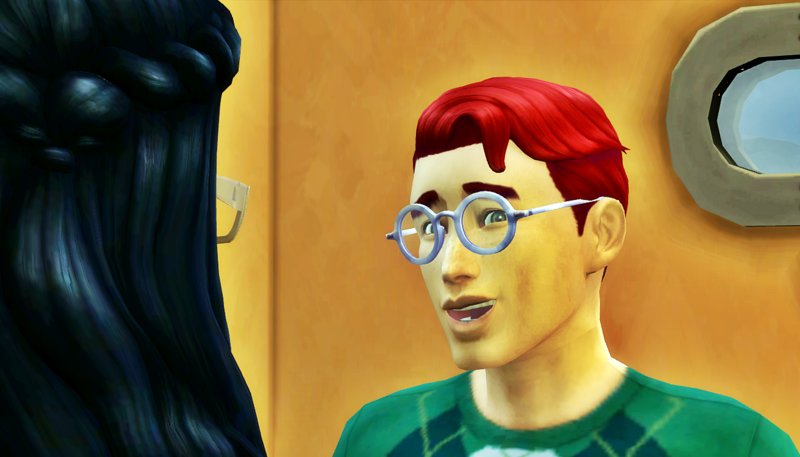 Oh, and meant to say, glad he lost the glasses! Lol.